Home » How to buy EAN barcodes? EAN (European Article Number) is one-dimensional barcode that is widely used all over the world. There are five types of EAN codes: EAN-14, EAN-13, EAN-8, EAN-5 and EAN-2. If you want to buy a range of EAN-13 (a.k.a GTIN-13) codes and/or EAN-8 (a.k.a GTIN-8) codes, GS1 is the perfect place to do it. GS1 is a global non-profit association that set standards globally, using unique numbers to ensure products are easily and accurately identified. There are Member Organisations in over one hundred countries all over the world. In order to purchase a range of barcode you have to visit the regional GS1’s website depending on where are you living. For example if you are from France, you have to visit: http://www.gs1.fr/, but if you are from UK you have to visit: http://www.gs1uk.org/. But wait, you have already found these sites!? And you have problems with the process of buying the EAN codes from the GS1? Read “How to buy EAN barcodes?” and you will find out how to deal with these problems. 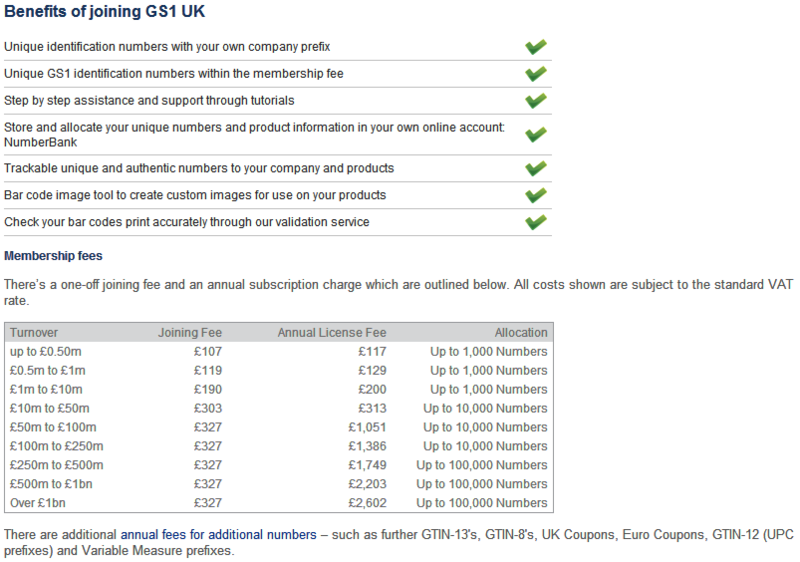 Here are a few simple steps showing you how to buy a range of GTIN-13 and/or GTIN-8 codes from the GS1 UK. 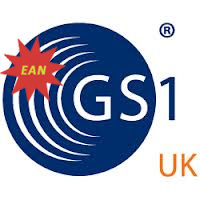 First you have to find the official website of GS1 UK or simply click on this link: http://www.gs1uk.org . There you will find a few boxes of services that GS1 supports. From the box that says “Need a bar code?” select “Get a bar code“. Here you will have to read the information in order to continue. For example it would be useful for you to read what are the benefits of joining GS1 UK or the Memberships fees (Joining Fee & Annual License Fee). After this you can go further by selecting “Join now“. Now you have to fill the information about your Company Address, Company information and Personal details. After filling the information select Next. Then continue filling the information until you finish the process of registration your company in order to be a member of the GS1 UK. After paying the fees you get the first range of EAN-13 (GTIN-13) code, which is 1000 codes by default. You will receive the range of EAN-13 codes on your e-mail. And this is the end of buying codes. Now you have to generate barcodes in order to use these codes, that you have just bought. In order to generate EAN barcodes you can use EAN barcode generator or the Barcode Generator. EANEncoder and BarcodeEncoder are barcode generators that create full-functional EAN barcodes that can be exported in PNG, EPS and SVG format. It is developed for Mac OSX. Download them now from the Mac AppStore and start them up. If you have some problems while using the EANEncoder you can watch this video tutorial. It will help you and show you almost all functions of the EANEcoder. 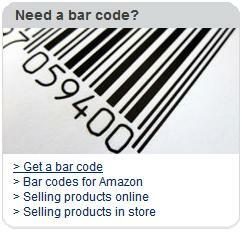 Video tutorial and screenshots of the BarcodeEncoder you can find on it’s product page. These software products are very useful, especially in this case when you have a range of codes. In stead of entering every single code, generating it and then saving it, you can use the Automator. The Automator is used for bulk barcode generation (making more than one barcode simultaneously). After generating the EAN barcodes you can export them in EPS, SVG and PNG format. There is a special video tutorial about the Automator and it is used. Watch it and you will see it for yourself how useful is this feature.